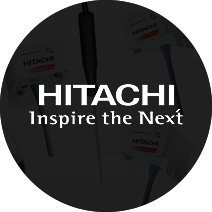 Hitachi High Technologies America, Inc. (“HTA”) is a privately-owned global affiliate company that operates within the Hitachi Group Companies. HTA sells and services semiconductor manufacturing equipment, analytical instrumentation, scientific instruments, and bio-related products as well as industrial equipment, electronic devices, and electronic and industrial materials. The Systems Products Division (SPD) of HTA focuses on design, development, and manufacturing of IoT systems, in-flight entertainment tablets, and medical computer devices. HTA’s SPD team in Greenville, SC developed innovative IoT products that allow users to remotely monitor the temperature and humidity in restaurant equipment, such as freezers, coolers, and overnight smokers. The HiQ eSystems® Remote Monitoring Systems reduce food waste which, by the US Department of Agriculture’s estimate, comprises 30 to 40 percent of the national food supply, and save money in the restaurant and food service industries. More importantly, the products can improve food safety for the consumer, which is a major problem in the food service industry—each year, an average of 48 million consumers get sick as a result of foodborne illness. The HiQ eSystems® products address this problem proactively, giving restaurant owners and other food service providers a way to monitor, visualize, analyze and alert users before temperature breaches become a concern. After completing their engineering prototypes to prove the portal concept, the SPD team decided to test the products through common use cases with a few initial clients in order to improve the user experience. One key area where they knew they needed to focus in the next phase of development was to iterate back through the user dashboard. So many important actions are triggered by the monitoring systems through interactions with the dashboard. The dashboard lets operators know when to reduce traffic into refrigeration systems or take more drastic action to properly cool or heat their food— steps can act to prevent either food waste, or worse, foodborne illness. Keith Brown, the SPD General Manager and an HTA Senior Director, agreed that the product dashboard needed an update. Fortunately, the solution was relatively simple since SPD already had all of the major components and moving parts in place. SPD decided to bring Kopis in as a partner to help develop the dashboard piece of the products rather than hiring a full-time developer. Working in partnership with Kyoko Roberts and the rest of the SPD team, Kopis created a mobile-friendly user dashboard that presents a live view, simplifying the data into easily digestible, intuitive, color-coded blocks: green when a unit is in the acceptable range, blue when a unit becomes too cold (below the acceptable range), and red when a unit is too hot (above the acceptable range). The dashboard that Kopis designed also gives end users the ability to monitor multiple sites remotely from the same device and allows users to click on the icons for individual units to see temperature history from the past 24 hours. Finally, the user interface sends alerts directly to the user’s mobile device when the temperature hits the red zone. The dashboard was beta-tested with one customer, and, about a month ago, released to all customers. According to Roberts, the SPD team is pleased both with the results and with the process for creating the dashboard. Now that the new live-view dashboard has been released, HTA’s SPD team is seeing it as a major selling point for their products. Russell Kerman, the Corporate Chef for Sysco, even credits the alert feature with preventing a costly kitchen fire. Brown agrees that the dashboard has helped HTA’s SPD in their sales efforts. – Kyoko Roberts, Director of Sales for the System Products Division at Hitachi High Technologies America, Inc.